RomArchive – Digital Archive of the Roma, has been launched in January 2019. Please visit www.romarchive.eu | This temporary blog is now closed. Isabel Raabe studied stage dance and, later on, cultural management in Berlin. As a cultural producer she worked for various institutions in Berlin’s cultural scene, inter alia as a project coordinator for “Büro Kopernikus – German Polish Cultural Projects”, an initiative of the German Federal Cultural Foundation. 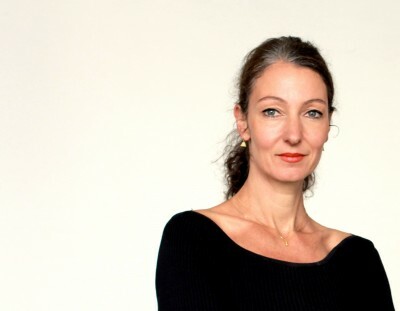 In 2007, she and Franziska Sauerbrey co-founded the independent büro für kulturelle angelegenheiten (“office for cultural affairs”) to curate and produce their own cultural projects, mostly in an international context. They developed exhibitions, multimedia performances, and theatre festivals with, e.g., artists from Kosovo, Moldova and Ecuador. First artistic involvements with and analyses of the cultures of Romani people followed. In 2012, the Central Council of German Sinti and Roma commissioned the büro für kulturelle angelegenheiten to oversee the programme accompanying the inauguration of the Memorial to the Sinti and Roma of Europe Murdered under the National Socialist Regime. In 2014, Isabel Raabe and Franziska Sauerbrey produced an audio book about Zoni Weisz’s life (“Ein gutes Leben. Zoni Weisz erzählt seine Biografie”; Berlin: Vebrecherverlag, 2016). After extensive research on the artistic and cultural self-presentation of the Romani people, Isabel Raabe and Franziska Sauerbrey initiated the project “RomArchive – Digital Archive of the Roma”. The project is supported by the German Federal Cultural Foundation from 2015 to 2019 and will subsequently be transferred to an international Roma NGO.